The words of US President John F. Kennedy, "the rising tide lifts all boats," can be applied to inclusive growth in contemporary Asia, where the poor are able to participate in and benefit from economic growth. Moving Out of Poverty explores three channels through which economic growth confers gains to the poor and improves the status of women. The first is creation of productive employment, as labor is typically the most abundant asset of the poor, and economic growth has created jobs in labor-intensive sectors. The second is investment in schooling which, coupled with increased opportunities to earn income, has elevated womens' status in society. The third is increased availability of improved infrastructure, which directly impacts increasing household income from wage work and self-employment activities. 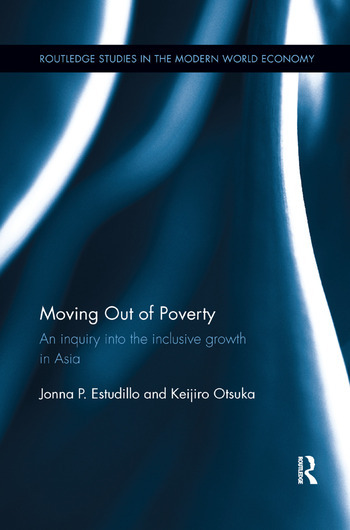 This book will be of great value to development economists, students and researchers interested in rural economies in Asia, and policymakers engaged in poverty reduction. Jonna P. Estudillo is Professor at the National Graduate Institute for Policy Studies (GRIPS) in Tokyo, Japan. Keijiro Otsuka is Senior Professor at the National Graduate Institute for Policy Studies (GRIPS) in Tokyo, Japan.